Variety of stickers, beans, buttons, etc. Show students the book “Amanda Bean’s Amazing Dream" and say, “Poor Amanda! She loves to count, but she is having trouble counting larger groups of things in a fast way. Maybe she will be convinced that there is an easier way!" Read and discuss the book and then provide supplies for students to show four ways to solve a multiplication problem. Ask students to create a poster illustrating an array, repeated addition, fact family and groups as a way to find the product of the problem. 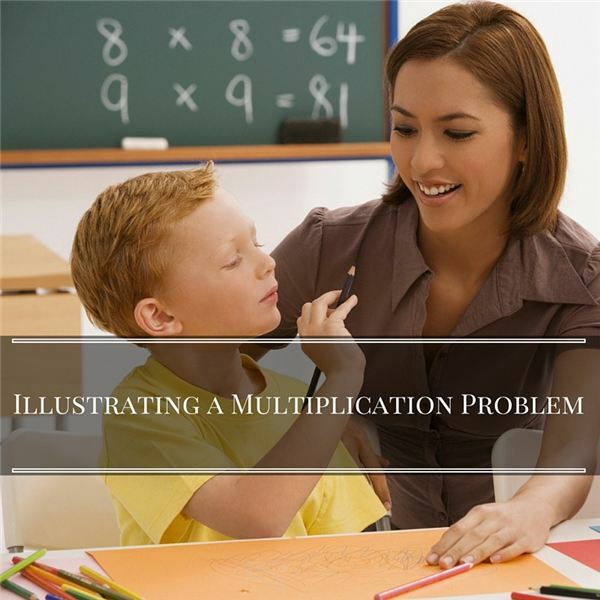 Give each student a slip of paper with a multiplication problem on it. Provide white paper, glue, markers, crayons and a variety of objects such as stickers, beans, buttons, etc. Show students how to fold the 12”x18” piece of paper to make four equal sections. If necessary, do an example together. Encourage students to make their projects neat, colorful and accurate! Neuschwander, Cindy. Amanda Bean’s Amazing Dream. Scholastic Press, 1998.